To continue with our series of getting to know rowers who row with us, we’d like to introduce the Ladies of York! 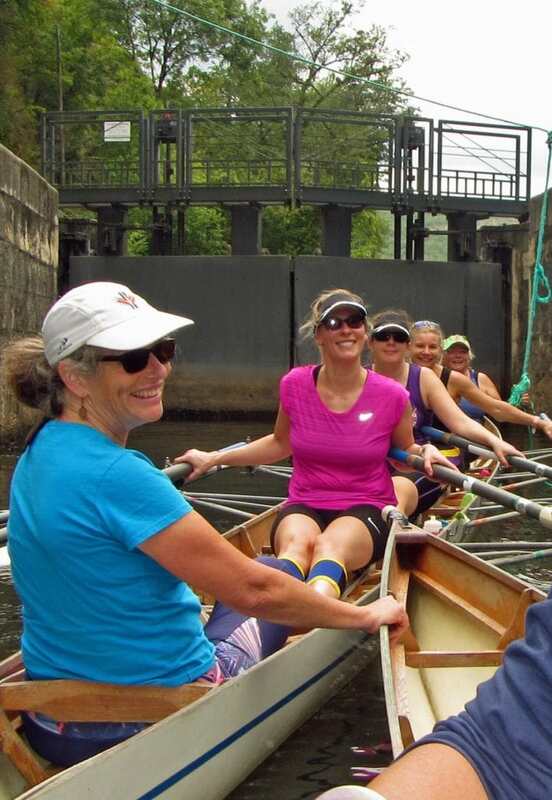 On a Rowing The World trip on the Lot River, a group of women who have been rowing together for years joined us. They all learned to row as adults through York City Rowing Club. 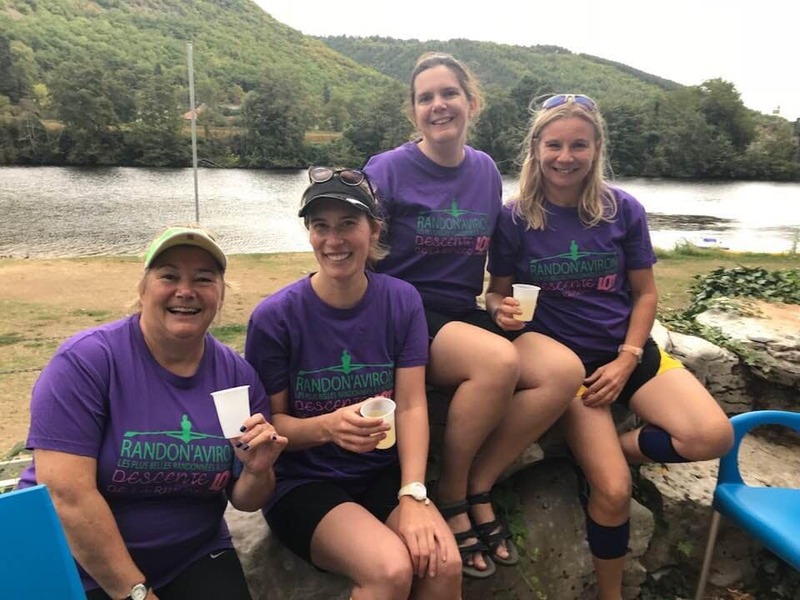 Together, Holly Read, Lydia Brear, Wendy Iles and Sharon Clements epitomize how friendships flourish when rowing friends go on holidays for women who row. 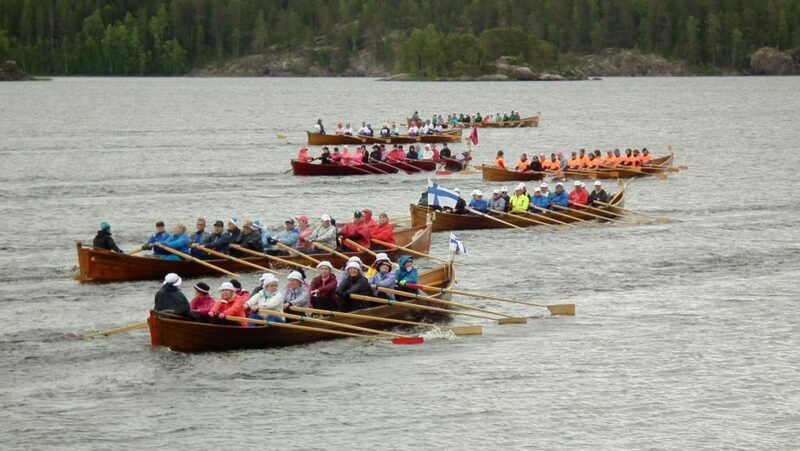 The Sulkava Rowing Race in Finland pits crews in large church boats over two days and 70 kilometres. Photo credit Juhani Kosonen. They have been rowing for anywhere from five to 10 years and in that time have trained, raced and, over the last few years, have gone on rowing adventures together. As a team, they have all participated in the Traversée de Paris more than once. Last year, they had a fun and fantastic experience on the Sulkava Rowing Race, a two-day 70-km event in Finland, that involved rowing around an island in a church boat. Wearing our new Aviron Cadurcien shirts from left to right, Wendy, Lydia, Holly and Sharon. Another happy memory is the first race they won in the Tees regatta. “We felt such elation as a crew when we realized we had won, having had to go through repecharge and two other rounds,” she adds. But, not all memories are so joyful. For Wendy, one particular heads race in York stands out. All we can say is we’re glad that didn’t happen on one of our trips! So, what about combining rowing and travelling. What’s that like? Read another Rowing Your World post here, this one on Kathy Berezin. Because Rowing The World works with clubs in various countries, meeting new friends is exactly what happens. It didn’t hurt that they kept a plentiful supply of “champagne soup” flowing aprés-row. 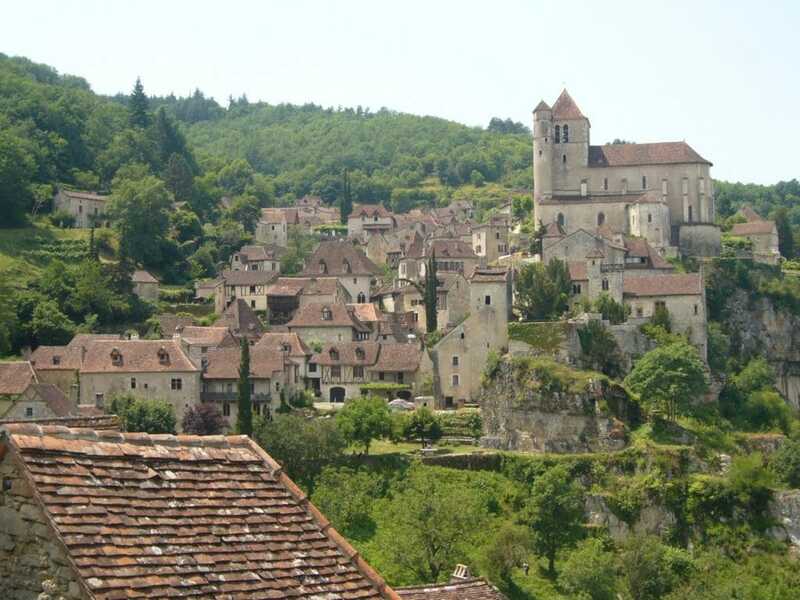 Other highlights included going through the locks, and having picnics along the banks surrounded by the beautiful French countryside of the Lot Valley. Sharon Clements, another of the “Ladies of York,” is a born organizer. She initiated the push for the “Ladies” to do the Lot River trip. On that trip, she invited Ruth Marr, President of Rowing The World, to get in touch if she was ever in York. Ruth followed up, and Sharon organized a row, followed by two meet & greets, and invited Ruth to stay with her. On top of that, fellow lady Wendy hosted a dinner for Ruth, inviting the rest of the ladies to get together for the first time since their Lot River trip. We call this series Rowing Your World for a reason. Holidays for women who row bond old friends and present the opportunity to meet new ones.